The other day I went to a comedy charity night in Shibuya which featured seven comedians from various countries, including one Japanese. The audience though was almost entirely non-Japanese and I got to thinking about humour in Japan. Certainly, from the outside Japanese society looks strict and serious and some have even suggested that Japanese lack a sense of humour, or at least don't consider having a sense of humour as important as say a Brit would. But while it is true that there is no word for humour per se in Japanese (the English transliteration yūmoa =ユーモア is used), there is definitely a lot of joking and laughter in Japan, though the content and context seem rather different compared with the UK. Oshima argues that Japanese "jokes" are better understood as funny stories "told among close friends and family members to gain solidarity." Certainly, Japanese people don't really exchange or tell "jokes" to each other as kids might do in the playground or adults down the pub in Britain (if you ask a Japanese to tell you a joke they will probably be non-plussed!). In Japanese, owarai (お笑い), from the Japanese verb to laugh, can refer to a comical story, something laughable, or the comedy business in general. 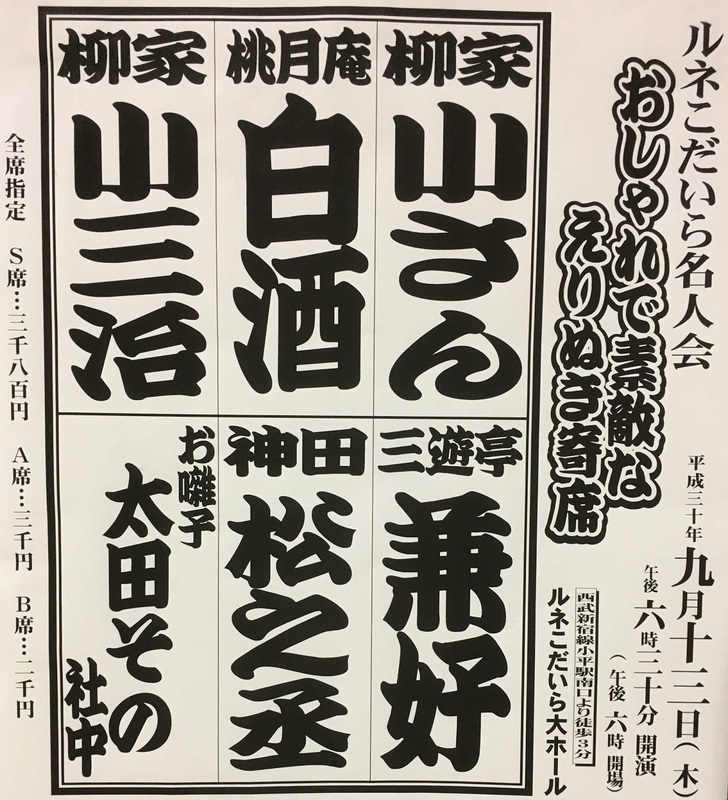 The latter consists primarily of rakugo (落語), a sit-down show by a single kimono clad performer based on a long shaggy-dog-style story, and manzai (漫才), a more modern two-person comedy act based on fast-paced dialogue. The former, rakugo, draws from a stock of fixed stories - featuring a number of characters - that the performer personalises by adding his or her own gestures, timing, expressions, voices, and mannerisms (see here for an example of one of the most famous rakugo stories done in English). Though audiences tend to be older, most universities boast a rakugo club. The latter, manzai, typically features a straight/smart person, known as tsukkomi, and a funny/foolish person, known as boke, who is usually the target of a few smacks to the head by the straight guy. Japanese TV is full of manzai and slapstick humour; most of the popular comedians are from Osaka (Yoshimoto being the most famous agency) and humour is one area where the East/West divide can be most clearly seen in Japan. One of the most popular duos are Downtown (DVD pictured), and they feature in a new year's eve comedy program every year which is a must-watch for many young Japanese. This year's show, however, featured one half of Downtown, Masatoshi Hamada, in blackface, highlighting stark differences in what is deemed to be "funny" inside and outside Japan (in fairness, some Japanese also objected to the skit or konto - though quite a few others defended it as "Japanese comedy"). On a day to day level, Japanese enjoy engaging in riddles (nazonazo) and wordplay (dajare or kotoba-asobi), something which is made easier by the fact that the Japanese language has a relatively limited number of sounds resulting in the existence of many homonyms. This kind of "joke" is also known as an oyaji-gyagu (親父ギャグ）or "dad-joke" because the pun is usually feeble and corny. When such a pun is funny it might be praised as being omoshiroi which in Japanese means both "funny" and "interesting": clever or interesting word play is also funny. But while satirical comedy certainly exists in Japan, such as the work of Hisashi Inoue, political satire and parody is almost non-existent, and making fun of politicians, which is a staple of comedy in the West (I grew-up watching Spitting Image), is pretty much taboo in Japan (at least in the mainstream media). This is something of a mystery, especially given the mountain of material available! 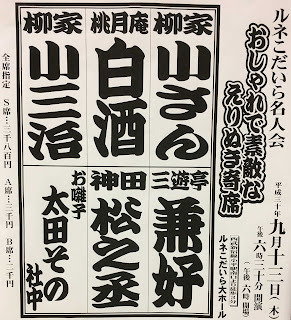 The only explanation I have heard is that this could be considered meiyokison (名誉棄損) which means defamation, libel, or slander though it seems to be as much a cultural as a legal issue. If any Japanese readers can shed some light on this, do please get in touch!